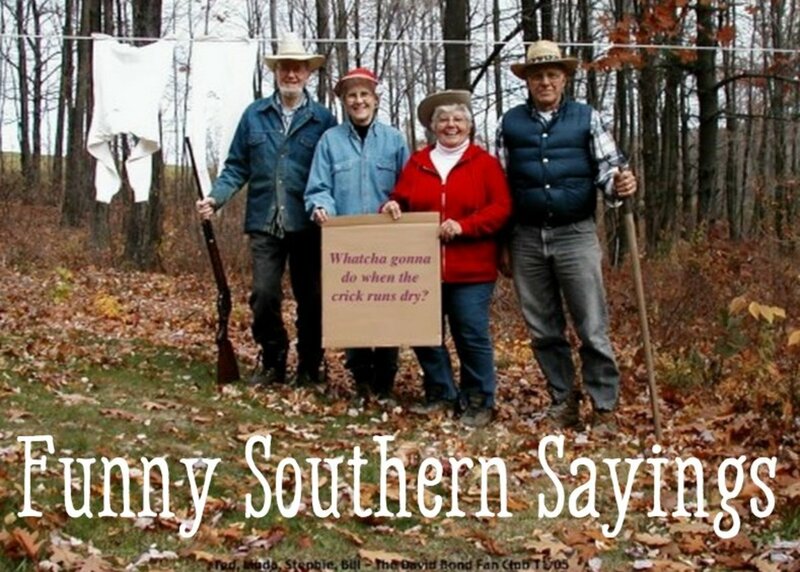 Lancaster County, Pennsylvania, is the long-time home to groups of people that together comprise the Plain People. These groups are the Old Order Amish, the Mennonites, and the Brethren. All of these Christian groups separate themselves from the rat race of the commercial world to a greater or lesser degree. 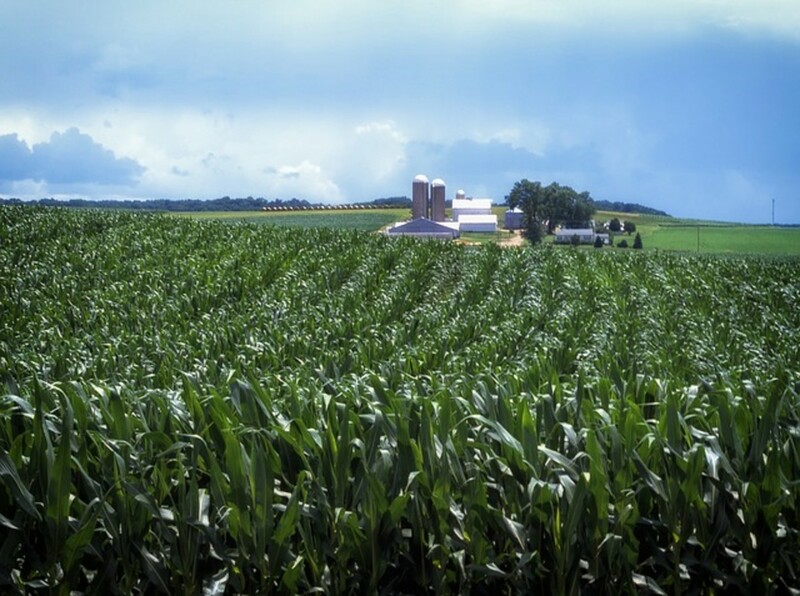 This fact provides a foundation for peace and tranquility for those that visit Lancaster County in wishes of escaping frenetic city life or information overload. It is also a pleasant environment for people that appreciate a green lifestyle, community, and community building, for these elements thread the overarching goal in all of these groups. While these groups maintain separateness and privacy, vacation lodgings are available at a number of related communities. 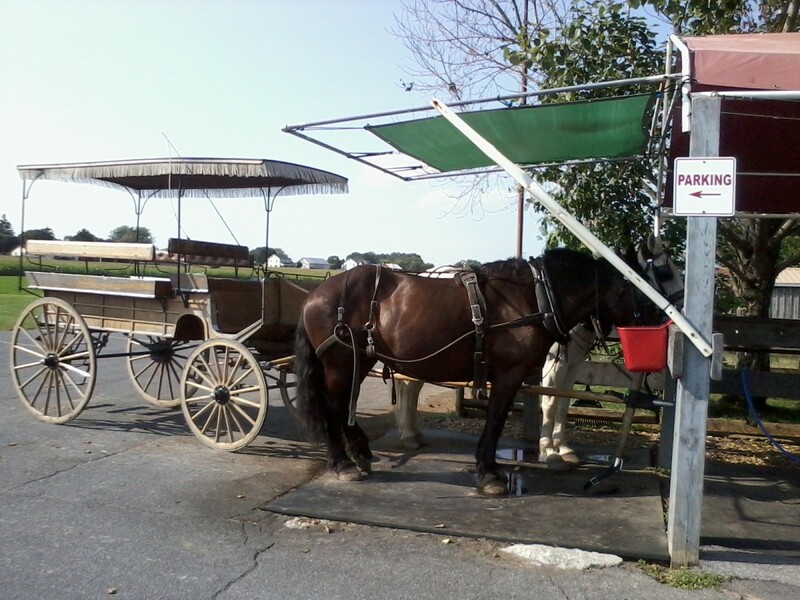 At least one working Amish farm is available in Lancaster County for inexpensive tours. 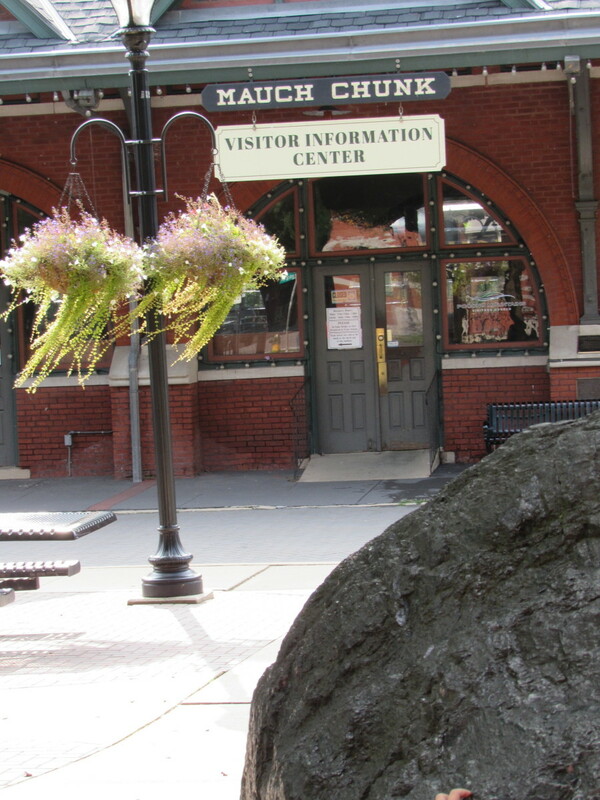 It is a must-see if you are traveling to Lancaster County. It includes a farm and farmhouse from 1805, along with animals, a single room school, a blacksmith, and a wood carver. 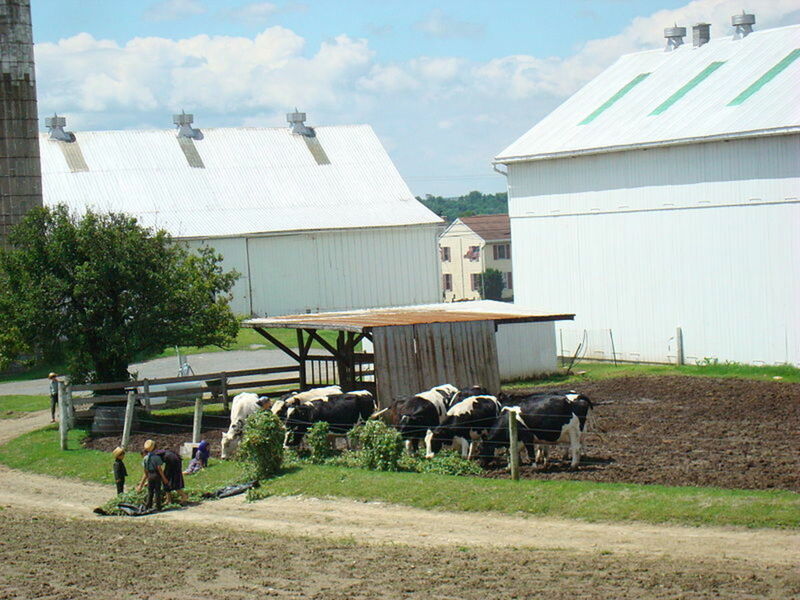 The large farm was built under a land grant from William Penn in the early 1700s, and has always been inhabited by Amish families until it became a local educational and travel attraction. Staff operating the facilities have all lived in Lancaster Country and are raised around the Amish. This is the United State's first Amish attraction, opened in 1955 in direct response to the growing demand for correct information about the Old Order Amish lifestyle. Near Lancaster PA.
Any fan of railroads and trains will love this adventure that surrounds a railroad founded back in 1832. After WWII, the transport of freight declined and a group of business people gathered together to save the railroad, making it a fun historic institution. The current railroad station complex commemorates heritage trains and history as it opened in 1958. It has delighted visitors ever since, whether as families or singles. Currently, the museum and railroad operate some of the only locomotives of their types in the USA. Heritage locomotives from Canada and US railways are on display, but Strasburg Railroad operates others on the tracks. 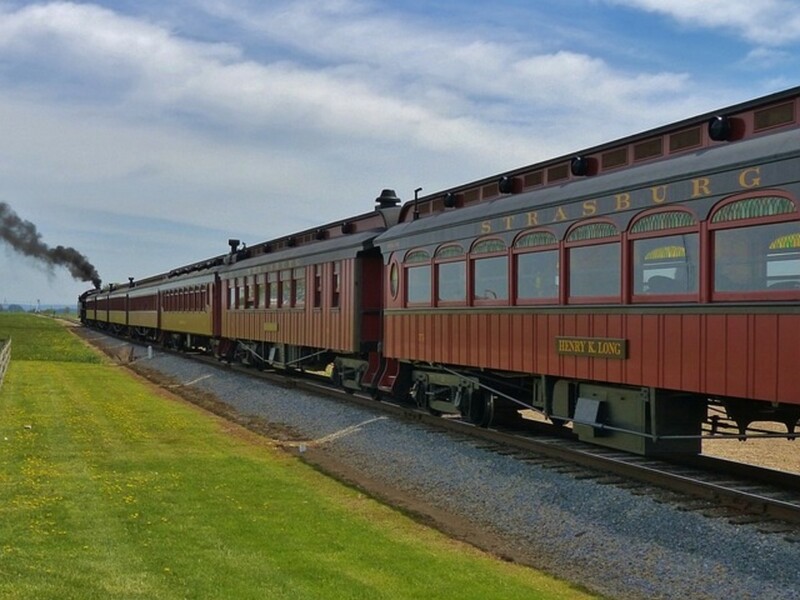 Visitors can enjoy lunch or dinner aboard a dining tour train while viewing Amish country. 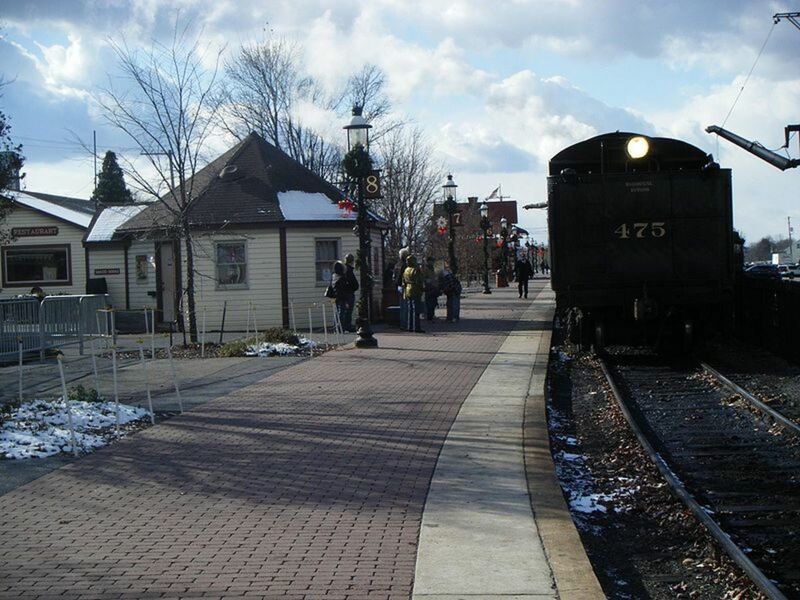 In addition, Strasburg offers a popular wine and cheese train, a Victorian tea train, and a 1/4 size train ride. A military commemoration happens in November, and a Christmas train is available in December. The complex features a well-stocked book and hobby store for railroad enthusiasts as well as a cafe. Across the street is the Railroad Museum of Pennsylvania. 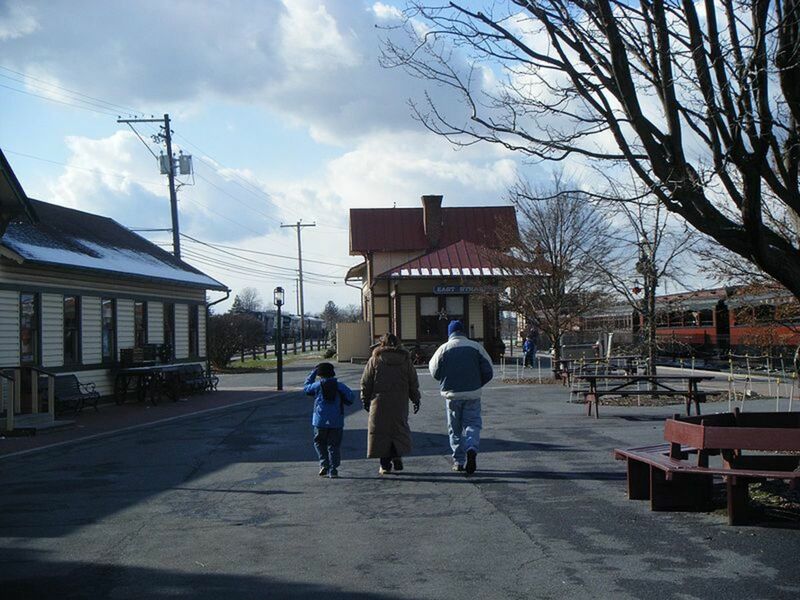 The railroad and Museum strive to support the Amish community and preserve farmlands in the area as well. Hunsecker Mill Covered Bridge. Lancaster County, Pennsylvania. Pennsylvania is recognized by many travel enthusiasts as the birthplace of covered bridges, with 1,500 of them built between 1820 - 1900. 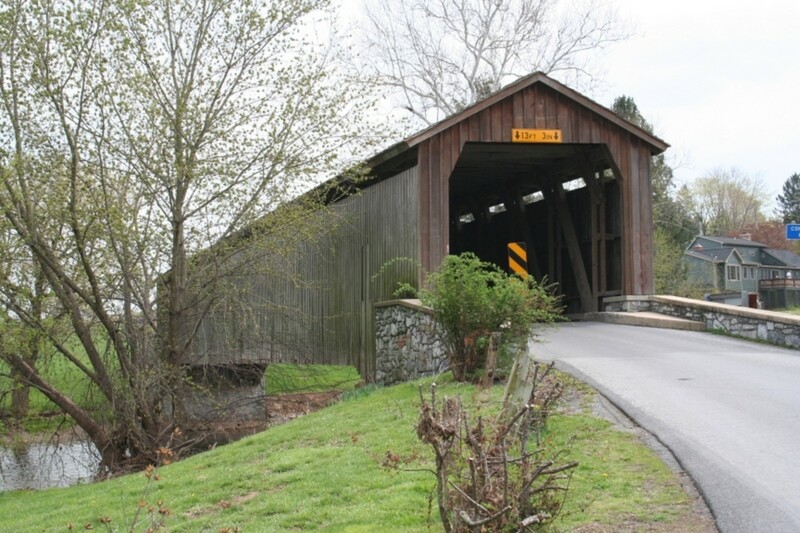 There are at least 30 covered bridges in Lancaster County, Pennsylvania, and many of them are available by a 5-mile Horse and Buggy Tour that you and your friends or family will enjoy. 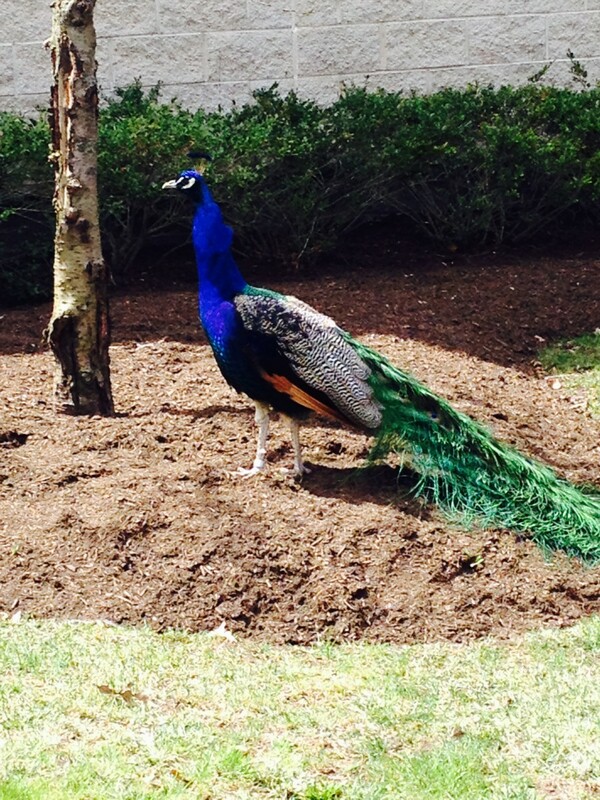 For that period of time, you can enjoy nature at a slower pace. The trip winds through the covered bridges that have been a tradition in this part of the country for generations. Many of these bridges date from the 19th Century and are on the National Register of Historic Places. Plain & Fancy Farm celebrated its 50th birthday in 2009. The Plain & Fancy Farm has been serving interested visitors since 1959 when its public dining room was first set up in the barn and folks loved it. People from all over the world come to Plan & Fancy for good food and experiences. This includes the Amish Country Homestead and a multimedia F/X Theater (that’s some of the fancy part). The Amish Experience at Plain & Fancy is relaxing and refreshing, but it is moving. It is also inexpensive. Do go if you ever have the chance; you will not be disappointed. A fictional family lives in the homestead, and you can see their clothing and furnishings and experience some of what their daily life was all about. It is all very different from the commercial world of “The English” (outsiders)—even the air and the aromas in it are different. A guided tour is very interesting and a film in the F/X Theater, the 3rd exponential theater ever opened in the US, is presented. Jacob’s Choice, presented all around the viewer, is the story of how an Old Order Amish family copes with modern society and its own 400-year-old traditions and culture. 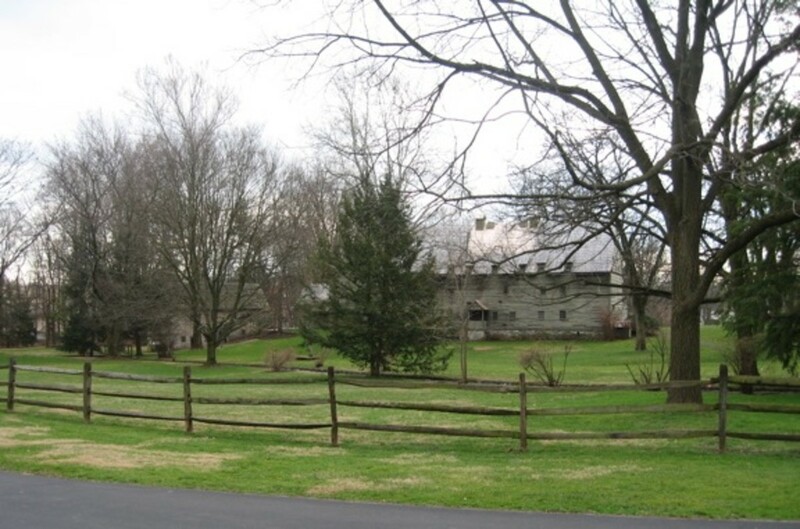 The Ephrata Community is also known as the Ephrata Cloister because they cloistered or separated themselves from hectic industrial development and the rest of the world. Their historic site is a peaceful place for a visit during a vacation or other travel, promoting the simpler life. The Ephratans wanted the freedom to await the return of the Lord and worship in the meantime without distraction. This community was founded for this purpose. They also adopted celibacy and self-discipline to avoid distractions, as well as a green lifestyle. It was a religious community with a monastery that was begun in 1732 by Johann Beissel at Ephrata in what is now Lancaster County. The group also held to Saturday or Seventh Day Sabbath and full immersion baptism. They were persecuted for this notion by some of their German Baptist Brethren and other denominations. Families were allowed to join the community, and they lived in a separate part of the settlement until celibacy was discarded as a requirement around 1813 or 1814. Fans of Star Trek will think the group to have been much like Klingons, because the Cloister slept on hard wooden benches and pillows as a discipline. They also woke in the middle of the night to be on watch for the return of the Lord (not indulging in uninterrupted sleep). Ephrata became well-known for its beautiful calligraphy and a capella music as well. Changes and splits occurred within Brethren groups throughout the years until the Ephratans’ faith was incorporated with others as the German Seventh Day Baptist Church. Some of these congregations still exist today. The Ephratans donated their land and buildings in 1941 to become a US National Historic Landmark. Hi Patty - Enjoyed re-visiting this area again through your really fine hub. Thanks. DjBryle - I love these places in PA. Thanks for posting. Dardia - a Grand Canyon in PA! I missed it somehow, but now I have an excuse to go back very soon - Thanks! This is a very informative hub. 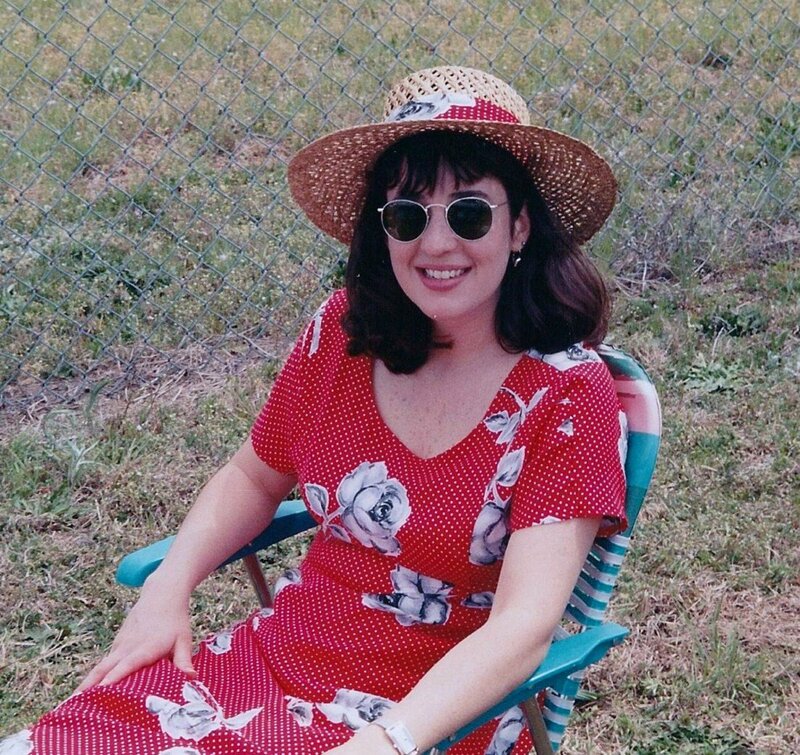 I have been to Lancaster with my family quite a few years ago and we had a great time. We didn't take a buggy ride or the dinner train but we did go to the railroad museum. We also visited the Grand Canyon of Pennsylvania, that was a long hike to the bottom but worth it for the view. I think we will have to go back and visit the Plain and Fancy as well as the buggy ride through the covered bridges. Wow! Thanks so much for taking me to a beautiful place without having to sabotage my bank account... lol! I love this hub! Thanks for a delightful virtual tour! 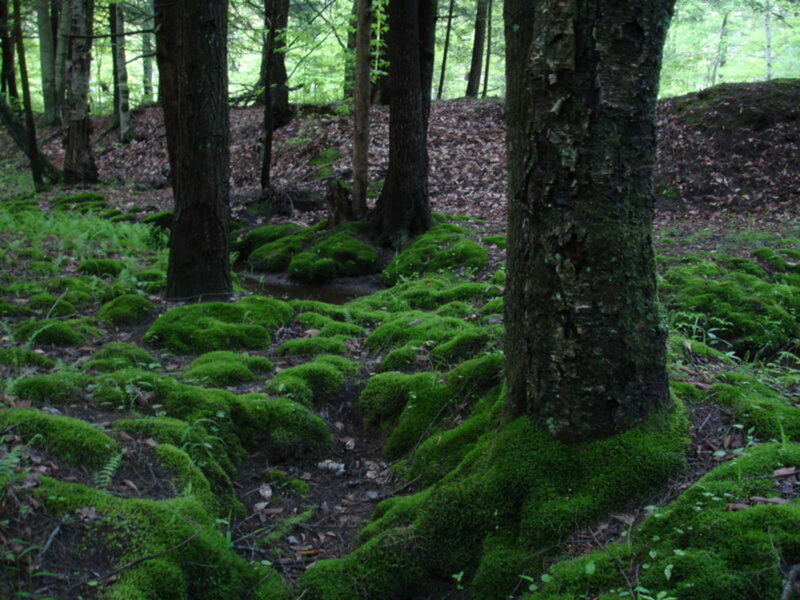 Flora- Northern/western Pennsylvania is gorgeous too, especially Presque Isle near the city Erie that extends out into the lake - we can see Northern Lights when we go there at times. RedElf - Thanks! I think PA may be one of the major places producing heriloom seeds, which can be really important for us in avoiding chemically treated seeds. Oh, I would so love to visit this marvelous place in person, but I feel in some ways I already know it through your eyes. Thanks, Patty, Master Scribe. I was born in Warren near the New York border. So I've seen some of northern P.A. 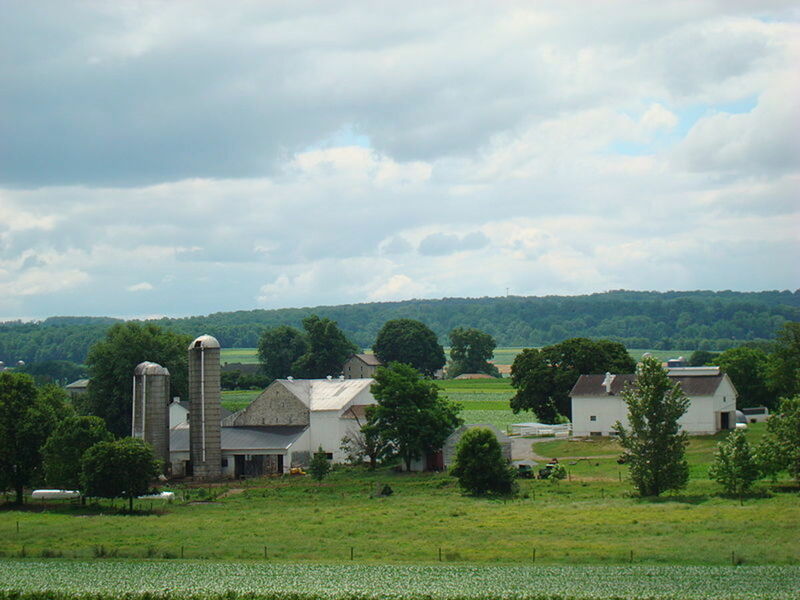 I love to visit Lancaster County, PA, best on a weekday if one can, due to the crowded roads on weekends. Across the street from the Cloisters in Ephrata is the Cloisters Restaurant, a cozy diner featuring PA Dutch food, and a friendly atmosphere. Your description of the trains, countryside and stay was so refreshing and warm. I would love to visit this beautiful place and experience all this for myself. Nice hub! I've been to both Pennsylvania and Israel. nice pic and article. i wish i had the chance going in pennsylvania. and i wish i had the chance of writing the article too because i love to travel. the last place i've been to is the Israel, gosh! you'll have to try it! =) the place is so awesome!don't worry about the security the airport there is 100% safe! they are all checking it. they care about the tourism too =) plus i get 20% discount when i had my reservation =) http://trekinisrael.com/ i just don't know until when is the reservation. Nice hub, my family from Pennsylvania. This hub makes me want to discover my roots. I was too young to really see the greatness of it. Thank you for bring me back. I have to go again. Thanks! - I hope you go - you'll have fun. Nice hub dude with awesome pics. These pics are attracting me to have a holiday tour there.